From time to time, you may see charitable projects playing up the ‘X Factor’ style emotional story of semi-clothed ‘poor’ Cambodians. I hope you’ll agree PEPY likes to share students’ stories in a different and more positive way! As an organization responsible for communicating the successes and challenges of the community in Kralanh district – we must be very thoughtful in how we communicate their message. PEPY has some strong values and beliefs on how we communicate. We strive towards the best possible transparency; we’re proud of the fact that we’re pretty quirky, and we carefully nurture our unique voice. For people coming in and out of PEPY, the concept of the ‘PEPY voice’ is something we’re proud to raise awareness of. For new staff or friends, it can be an interesting insight into who we want to be and how we want to be heard. We believe that what you communicate, how you communicate, and why you communicate are important choices for any organization. 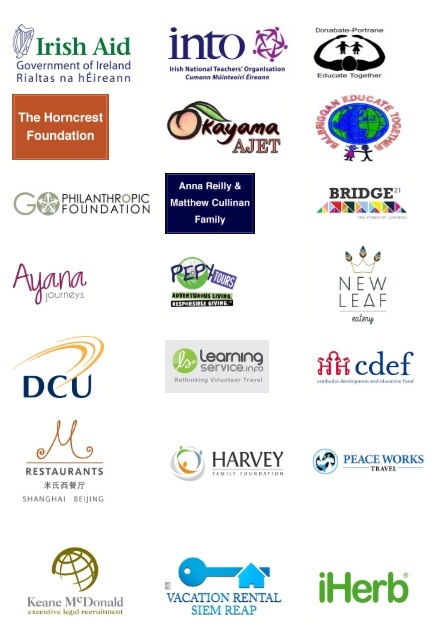 We believe they are particularly important for organizations working in the development sector and representing communities they are not themselves a part of. Have you seen the TED Talk on ‘The Danger of the Single Story’? It’s an inspiring reminder that those in development have such an important role in communicating the message of the people they work with, and how to do this in an honest and sensitive way. As a supporter of PEPY, we really want to share these values with you. We are committed to practicing what we preach, and if, for some reason, we fall short, we want to know about it. If you see something on any of our communications, whether it’s our website, Facebook, Twitter, newsletter or annual report, that you feel does not align with our values, please contact us at [email protected] and let us know. Thank you for helping us improve our voice!